A wrapper for the pigpio C library to enable fast GPIO, PWM, servo control, state change notification and interrupt handling with Node.js on the Raspberry Pi Zero, 1, 2 or 3.
pigpio supports Node.js versions 4, 6, 8, 10 and 12. The pigpio Node.js package requires the pigpio C library V41 or higher. Raspbian Jessie 2016-05-10 or newer comes with the pigpio C library pre-installed so it need not be manually installed. Warning: The pigpio C library contains a number of utilities. One of these utilities is pigpiod which launches the pigpio C library as a daemon. This utility should not be used as the pigpio Node.js package uses the C library directly. Installation instructions for the pigpio C library on versions of Raspbian prior to 2016-05-10 can be found here. Assume there's an LED connected to GPIO17 (pin 11) and a momentary push button connected to GPIO4 (pin 7). Use PWM to pulse the LED connected to GPIO17 from fully off to fully on continuously. Turn the LED connected to GPIO17 on when the momentary push button connected to GPIO4 is pressed. Turn the LED off when the button is released. 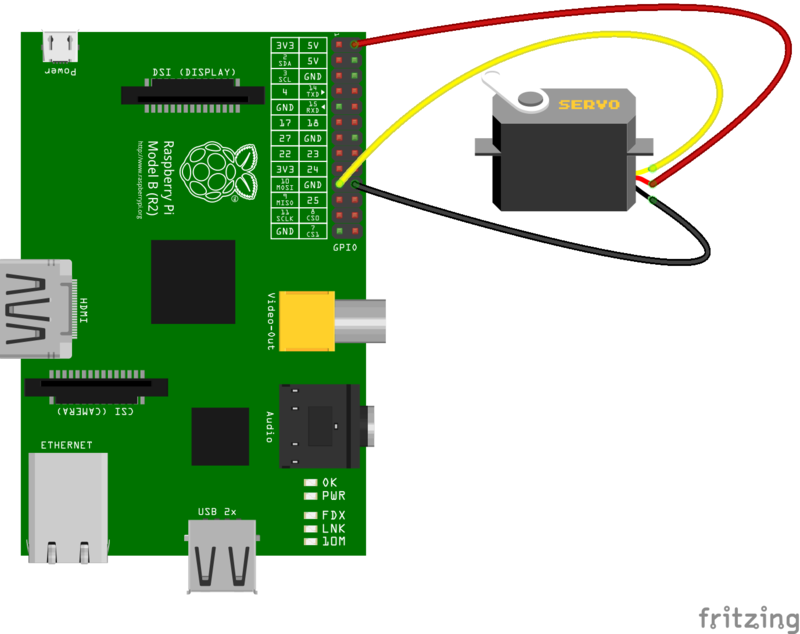 Continuously move a servo connected to GPIO10 clockwise and anti-clockwise. 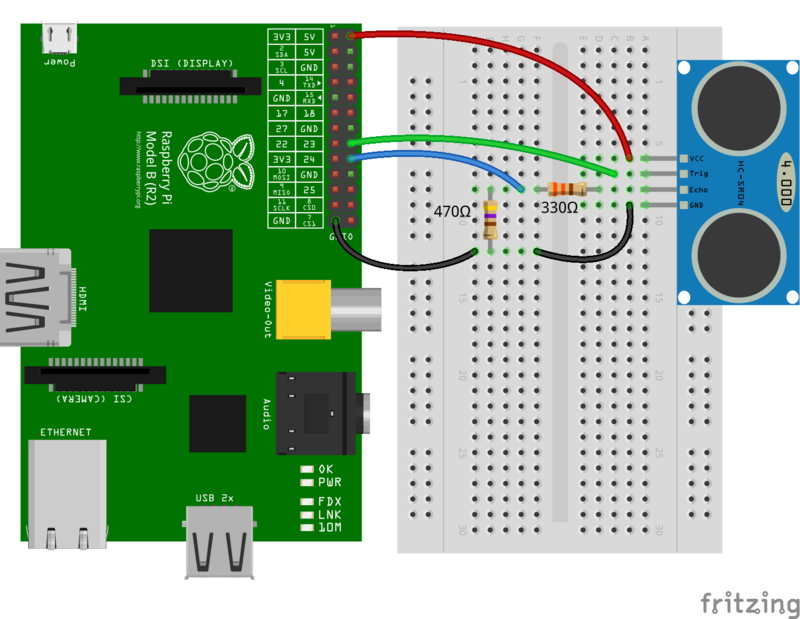 The trigger function can be used to generate a pulse on a GPIO and alerts can be used to determine the time of a GPIO state change accurate to a few microseconds. These two features can be combined to measure distance using a HC-SR04 ultrasonic sensor. Alerts can be used to determine the time of a GPIO state change accurate to a few microseconds. Typically, alerts will be used for GPIO inputs but they can also be used for outputs. In this example, the trigger method is used to pulse the LED connected to GPIO17 on for 15 microseconds once per second. Alerts are used to measure the length of the pulse. The GPIO glitch filter will prevent alert events from being emitted if the corresponding level change is not stable for at least a specified number of microseconds. This can be used to filter out unwanted noise from an input signal. In this example, a glitch filter is applied to filter out the contact bounce of a push button. // Level must be stable for 10 ms before an alert event is emitted. The pigpio Node.js package is a wrapper for the pigpio C library. A limitation of the pigpio C library is that it can only be used by a single running process. The pigpio C library and therefore the pigpio Node.js package requires root/sudo privileges to access hardware peripherals. If you have a problem with the library, before you remove it from your code and start trying something else, please check the troubleshooting page first. Some problems are solvable and documented.